ROM Hacking Discussion / Re: Getting expanded sound out of an NES rom? FDS games load and flip in a very short amount of time on an Everdrive, in my experience. No reason to use an actual FDS for anything other than limited demonstration purposes, to preserve the original disks a bit longer. Why is that tile appearing instead of the comma? The text doesn't have $1C anywhere, it's just $9C, so I find it odd that it doesn't print out the comma as it should, and it is instead showing that sprite tile in place of the comma. I tried putting other values there, but no matter what value I replace instead of the 9 in the 9C, it always prints out tiles from within 0-3. Like it is always either 0C, 1C, 2C or 3C, nothing after the 30 row gets printed out no matter what. I noticed the same issue in Metal Gear. When you pick up the mine detector on the west end of building 1's roof, the electric floor switch panels become borked sprites of the mine detector's pickup sprite. The PPU loads the proper sprites in advance, and as soon as the item is grabbed, seems to load the wrong image thereafter. I wasn't able to locate the spot in the code that messes up the table, so for now, that bug remains in place. The real pain seems to be finding how the game assembles a tile table in the first place. Fixing that would prevent the wrong data from being thrown. Without moving addresses around, the text for RANK cannot be extended to 5 characters. Forcibly changing it without doing so just erases it. I won't change it to "CLAS", and a more appropriate term would be GRADE, but even that won't fit. The life bar shares a palette with the walls of whatever room you may be in, most of the time. The center line would be random colors, if not gray. 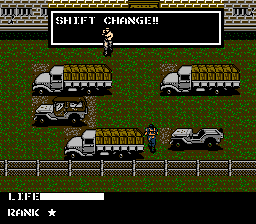 If I knew how to reassign palettes for specific items, I would assign the life bar to perhaps, Snake's new "hurt" color, which would give access to red, but that would require even more changes, as I would need a palette with both red and white. In essence, it's already approaching a mess with the things I couldn't change; changing these things without changing the code properly would make it worse. Re-coding NES games is lamentably not in my wheelhouse at this time. Thank you. There are some nagging things here and there, like some corners being gray, but changing their palette would mess with things that are supposed to be gray, I imagine, and the half-yellow desks in the POW rooms. Fixing those would require the inside of the trucks to be gray, and the game has already become brown and blue. Maybe there will be a 1.01 some day, but it's pretty well fit for duty. I was getting burned out playing through the entire game over and over again, looking for oddities. Without Gear Tool making any rational sense, this is pretty much my stopping point unless I have an epiphany out of nowhere. Either way, I should poke around other games to see what I can wring out of them. Working on Metal Gear was like starting with physics instead of algebra. Everything (image and text related) else seems simple by comparison, barring a few oddities. Already submitted for official upload. Enjoy, and here's hoping someone does a better job of it. Welcome back, and all that. For a simple site, nested menus work well. Say, 6 main sections, and a few subsections under each of those, viewable when looking at any of the sub-section pages. No need to go berserk with XML and CSS, unless you're using your site as a portfolio to seek employment. My host killed my domain without notice after nearly twenty years, and my current site used to just be a joke page from my main website. It works fine in every browser all the way back to Netscape Navigator 2, although you can't browse the site with it anymore due to the host blocking old browsers. Are you referring to the original level design being a nightmare, or just the sheer amount of levels? The amount of levels to get to the true ending, if you remember to bring the second player into the game at the last moment. I have a directory full of text files and prototype edits of Snake's Revenge on my desktop already. I'll poke at it to keep from getting burned out, but I'll have to be in an excellent mood to draw Solid Snake for it. 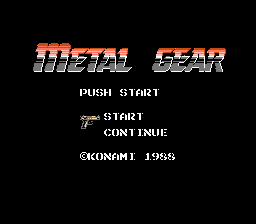 Still searching in vain for a means of extending the duration of the title screen for Metal Gear, and I'm done even bothering with Gear Tool. EDIT: Found that FCEUX went nuts and borked a lot of the code. No worries, as I have been making MANY incremental saves, so now I just have to compare the bits between v0.8bf92b7 and v0.8bf92b8. No, I have not made thousands of iterations, just forked with major changes. Working on the pickup icons for a few items. Alrighty, here we go. Everything I could find that was needlessly different from the MSX version has been modified to be closer to the source. A few coding errors have been corrected, despite me not being even an apprentice software engineer. 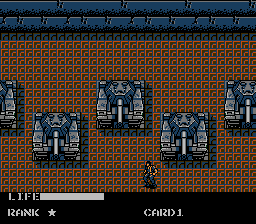 Palettes have been modified to be more like the MSX color scheme, though limitations prevent different buildings and floors from having different palettes for the tiles. Enemy palettes have not been changed, as most were correct already, but the battle tank and dozer tank had to remain as they were to prevent the POWs from being dressed in dark blue. This is a project from a man who has no ROM hacking experience prior to Crystalis Proofread. I still hope that MG Faithful will be released, but in the mean time, I hope everyone enjoys this substitute. If I could figure more out, I could bring the TX-55 to the table. 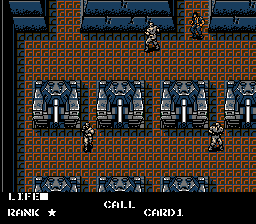 I don't think a "port" of Metal Gear 2 to the NES, using Snake's Revenge as base would be a good idea, unless there was a hack that would expand the ROM's mapper. 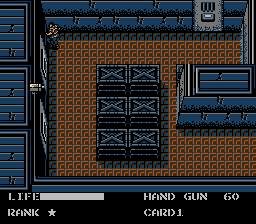 Metal Gear 2 for the MSX2 is 512 KB, and Snake's Revenge for the NES is 260.1 KB. 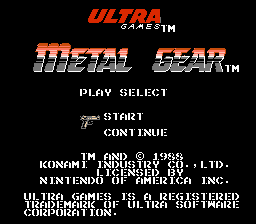 Apparently, Metal Gear 2 is a large game, but does it have the capacity to run on the NES? 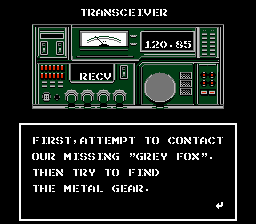 Metal Gear 2 could be ported to the NES if one went all out on memory and expansion audio, but there's no way Snake's Revenge could be anything close to it. 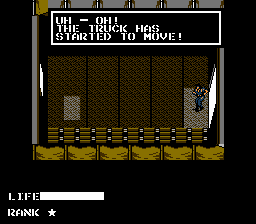 All Snake's Revenge can really handle in its current state is limited text and sprite editing. Man, that game is ugly by design. Easy to edit, horribly limited in every way. Not being able to use four colors in background tiles is disturbing. In the hour or so that I have thumbed through it, I have come to see that its terrible reputation is well-earned. Looking spiffy, for sure. Too bad Bubble Bobble itself is a 200+ level nightmare to play seriously. 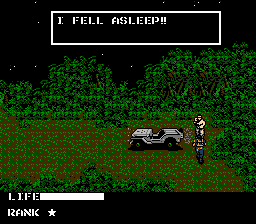 It took me like a year (or two years) ago to realize that Metal Gear 2: Solid Snake (aka the true sequel to Metal Gear 1) was never made for the NES/Famicom. 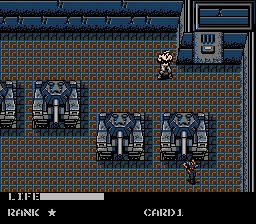 If anybody wants to play that game on the NES, there can be two ways for that to happen: using the Snake's Revenge game (as a base) to "port" MG2 to NES (if possible), or make the game from scratch via homebrew. The more I dig into Snake's Revenge, the more I hate it. Almost every graphic element in the game is treated like a sprite, limiting the colors to three for each tile, even background items like the floor, crates, and everything that doesn't move. I'm working on the title screen on and off, and poking around to see where graphic elements are kept, but things are a bit of a chaotic mess due to the wide swaths of flat colors. Mercifully, all of the large graphics are stored sequentially, so if I quit my fifteen year moratorium on drawing, I can at least change the ugly portraits. 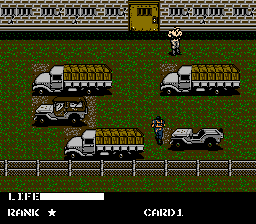 Another odd thing about the NES version is that it begins with four men parachuting, one of them is Snake. The three others... I don't think are even in the game after that. Maybe it would be a good idea to edit out the other three somehow? It would be easier to remove all of them (by making them invisible), since they use the same art, but removing three would require a change to the program itself. I'm not opposed to learning how to do this, but it's a needle in a haystack to find the best starting point. Nice! The other faithful hack that was being worked seems to be long abandoned. THIS is awesome for sure! I will be following this and testing this for sure! Keep up the good work man! Thank you. Still digging through the game to see if anything stands out, tile-wise. There are a couple things that don't seem like they can be corrected without making almost everything gray, like the desks in rooms with prisoners being half yellow. The way the palettes are called makes specific changes turn into a carnival of unexpected results. Would it be compatible with other hacks, such as PAL and Text Speed, or maybe implement those features? Since I still lack the ability to re-address anything or otherwise modify the program, any and all other hacks and modifications of Metal Gear will work fine, and I'm duly impressed by the QOL improvements that each of those hacks brings to the game. The PAN hack, especially, as it takes a feature from Metal Gear 2 (the group-cards), and perfects it. EDIT: Without being able to change the palette indexes, the elevator doors are stuck as they are. In any case, the grenade launcher and security cards' pickup icons have been changed to match their menu icon. Just rummaging through the system to sort the rest out. This is great, I'm glad you took this on. I know the Konami logo isn't in the MSX version, I kind of like it though. I looked at the different title screens for the NES/FC versions and I like the Famicom title screen the best. Then again anything is an improvement to the cluttered mess we got. Is there a way to make the title screen stay longer before the demo starts? It won't be hard to add the Konami logo to the title screen, in the place of the ULTRA logo. Since I've already changed the M79's menu graphic, and plan to change its sprite in the room you pick it up, this is already un-faithful. As far as lengthening the duration of the title screen, it should be simple, but I have to learn more about ROM hacking than editing text and graphics to do that. Alas, specific information is hard to come by, and everything I've already done was through brute-force after training with the proofreading hacks I had done in the past few weeks. 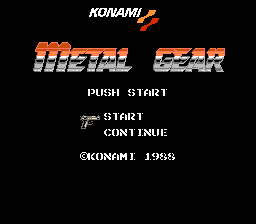 EDIT: I can put just "KONAMI" in, but the symbol won't fit unless I just redraw the text. Not hard, I suppose. The tile layout on the title screen is 9 tiles, then 10(?) tiles left-aligned with the above 9, then 5 tiles right-aligned with the top row of 9. 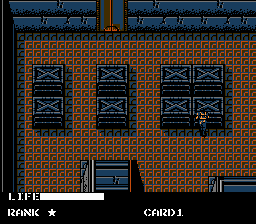 Without being able to rearrange the tile layout, I can't use the Famicom Konami logo, and reducing the text resolution is kinda' eh, as you can see. "The Cutting Room Floor" mentions something about the flash light having the wrong tile on the bottom right. My untrained eyes don't see it though. 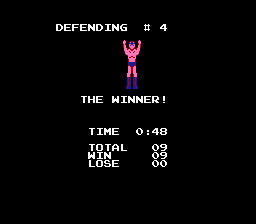 It was correct in the Famicom version but somehow got borked for the NES. The guided missile has the same problem. The lower left tile for the missile is wrong in the game, and in both cases, the tiles are properly ordered in the ROM itself, just not on the screen the images are displayed. It would take some coding knowledge to modify the tile set properly. I won't call this project done until I at least try to fix that. I don't mind if people pick this hack apart to pick and choose what they want to keep, either. EDIT: I swear, Konami is the worst company ever, even before their rampant blacklisting of all former employees, even before Kojima. The flash light's tiles in the ROM are listed as tiles 5A, 5B, 5C, and 5D. Makes sense. Well, on the equipment screen, the code calls for 5A, 5B, 5C, and 04. You can change this value at 0x00332A. Couldn't find the address for the missile to fix it in hex, BUT comparing the Famicom version against the NES version, THE TILES FOR THE MISSILE ARE ONE PIXEL TO THE LEFT. I fixed it by shimmying the tile art over a pixel. This is just incompetence in action. The tiles for the !! alert are in the ROM, and that function was supposed to maintain a room-to-room alert status until you killed all of the guards that spawned on a screen, or entered an elevator. Currently, the single ! alert is just room-specific. Thank you again. 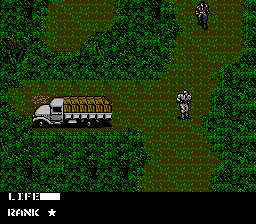 I am sort-of planning on overhauling Snake's Revenge, once I learn more about this. It would take comparatively minimal effort to make MG2 look like MG1, and fix a lot of the ridiculous nonsense in the story. I used to be a digital artist, so I'd have to bust out the pencils and paper to redraw Snake's godawful portraits in that game. If the non-elevator side-scrolling sections could be erased, the game could probably be a whole lot better. If you ever need any references, here's the incredibly old Metal Gear faithful thread. My irritation at that thread is what had prompted me to rapidly get all of this together. I've spent nearly every waking hour on it in the past four or so days. If I could get more information about how to put GearTool to use, and not have to completely reinvent the wheel, that would make things a lot better, and a lot faster, to boot. Found something else neat, even if it's not exclusive to Paint Shop Pro. It's stupid-easy to paste things from the clipboard into YYCHR. For NES games, I found that if I select the same four colors I have chosen for the viewing palette, make my tiles or sprites, then invert the colors, I can paste the inverted image into the cell(s), and they flip back to the appropriate values automatically. Another plus of PSP is that you can easily set the grid to 8x8, making it even easier to manipulate tiles and the like, from a larger image. Have a picture you want to stick into a game quickly, like a new title, or cinema image? Once you figure out which tiles go where, you can make your full image in four-color mode, then copy and paste 8x8 cells rapidly into the ROM. 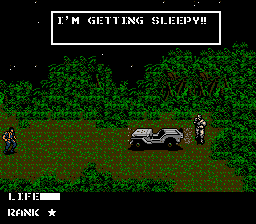 Really sped up my sprite editing for my Metal Gear project. Thank you. It's roughly complete, but I haven't changed any enemy sprites just yet. Most already sort-of match the MSX version, less a few colors, of course. I'll keep whittling on it as I figure more out, and I've logged the addresses of almost every text change I've made, as well as the palette changes made and what their effects were. The annoyances that require more research are the elevator button tiles being given a different palette from the rest of the walls, occasional corners being given a different palette, and the inside of the trucks sharing the same palette as the detention cells' desks and crates. 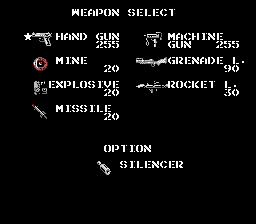 Well, that, and seemingly all NPCs, the battle tank, and the selector Beretta 92F on the title screen sharing the same black, gray, yellow palette. Changing one changes them all, but perhaps with more understanding of how each calls a particular palette, I could divvy them up properly. Moved the PUSH START text one space to the right, and mopped up a bit more weird text. Found some wall tiles that need their background floor tiles to be fixed, as well. Some enemy sprites seem pretty undetailed, so I'll see if I can do something with those, if they're needlessly different from the MSX versions. Alas, I may be reaching my current limits. Still haven't made any headway in GearTool. Fixed the title screen and the gray HUD when in indoor areas with the new tiles. Changed out most of the sprite tiles for the basic grunt. Not all tiles were different from the MSX version. Bosses appeared to be accurate, barring Shotgunner's leg position while he's rolling. May take care of that later. Images of the grunt and the revised title screen. Since "Metal Gear Faithful" is apparently to be released with Half Life 3, here's the far less impressive mess I've managed to cobble together in a few days, while figuring out how to use things other than raw hex editors. I am aware of GearTool, but without a background in programming and CS, I've not been able to accomplish anything with it. 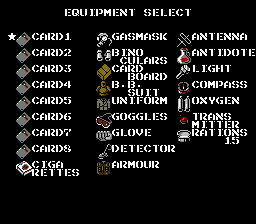 Fixed all of the text errors cause by Konami rushing the Famicom port, including Schneider sending you on a wild goose chase for the EOD suit. Made Big Boss's limited information on most weapon pickups more useful than snide comments. As is my habit, corrected wording, spelling, and grammar as well as I could manage given the limited space. Changed many of the palettes to approximate those of the MSX version of the game, identical for the most part to the MGF project. Changed background tiles in whole or in part, to match those of the MSX version. Changed the title screen to approximate the MSX version, but I have yet to redraw the logo. Completely redrew the M79 grenade launcher, as an MP5 does not fire grenades. Being a gun collector, I could not allow this. This is by no means a complete project, and there's still a bit that needs fixing, organizing, and flat out redoing, but unless someone wants to write a manual for GearTool, there's no way I can do something major like swap the computer with Metal Gear or overhaul the outdoor areas, and without being able to code more than a replicator virus in QBASIC, I can't turn the indoor trucks around, or fix the remote missile and flash light's broken tile arrangements. Here are some screenshots and a download of version 0.8bf. Sorry it's not the miracle everyone has been praying for. I only did this out of anger, the most fuel-efficient motivator in human history. Liberating Canada is a solemn duty. Working on a little something something from the ground up. I'd say more, but I'll instead refrain from posting a wall of poetic profanity. Another thing to do is to provide the hack to people for testing prior to release. I tried to do this in multiple locations with my first hack, but nobody bothered to provide feedback. Your mileage may vary. JASC's Paint Shop Pro 7 has been my go-to tool for about 24 years now. Version X (Corel Paint Shop Pro X, after the takeover) was released as nagware years back, and has an interface nearly identical to older versions of PSP. It's perfect for working with specific palettes, specific bit depths, and more. I used to use it to make Quake 2 skins and maps, and I still have q2.pal somewhere, just in case. Who knew that putting ads on a site that distributes ROMs would attract the stink-eye from the most litigious publisher in the past century? Newcomer's Board / Re: Where does one even begin? I recommend starting with 8 bit games, and practicing things like editing sprites and text, before moving on to more advanced games. Having some programming knowledge (ASM, likely) under your belt would help as well.